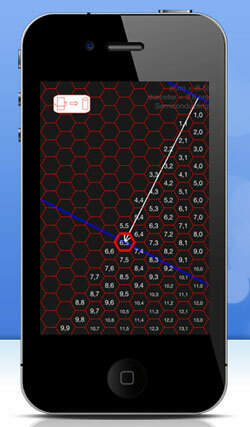 (Nanowerk News) Independent developer Peter Burke today is pleased to announce iNanotube 1.1 for iOS, his new Education app that graphically instructs users about the detailed atomic structure of carbon nanotubes, a revolutionary class of wires only a few atoms across. Advanced 3D rendering algorithms provide detailed, animated renderings of the design and construction of carbon nanotubes, demonstrating and teaching the fundamentals of the atomic properties of these tiny wires. Users can generate, manipulate, and even sort virtual carbon nanotubes in a user friendly, visual format. An included tutorial explains in simple terms the importance of the detailed 3D structure for practical applications. Burke is also a professor of nanotechnology at the University of California, Irvine. iNanotube allows users to design and create a carbon nanotube (an atomic scale wire) employing the app's simple user interface. Construction and manipulation of these tiny wires is easily achieved through the touch screen interface, which allows rolling of a sheet of graphene (a one-atom thin sheet of carbon atoms, whose discovery earned the Nobel Prize in 2010) into the form of a tube: a carbon nanotube. The app provides direct virtual interaction with the tiny structures, the strongest and stiffest materials yet discovered, which are too small to be seen with even the world's most powerful microscopes. "The use of virtual representations of atoms in smartphone and tablet media is a revolutionary way to interact with and understand the structure and size of atomic scale structures in a simple way," said Burke. He envisions additional, game changing uses of the media for future design of atom-by-atom constructions of many nanotechnology objects such as graphene and other materials, a long-term goal of nanotechnology research around the globe. iNanotube's design benefits from Burke's pioneering research in the field, and his extensive experience teaching nanotechnology to students around the world. The app allows explanations of key concepts that are typically difficult to convey, but which graphical, animated representations make clear and simple. For example, the holy grail of nanotube technology is to develop techniques to make nanotubes of a very specific crystal structure (described by two integers "n" and "m"). iNanotube makes the relationship between the (n,m) index, the crystal structure, and the underlying atomic ingredients, abundantly clear. Compatible with all iOS devices, the app takes advantage of their advanced, built-in 3D rendering hardware for smooth, seamless, graphical renderings of carbon nanotubes. "I look forward to extending this medium of virtual design and visualization to a large class of new, yet to be invented nanotechnology systems," commented Burke. "This is just the tip of the iceberg for user interaction with atomic scale objects, ultimately allowing nanotechnology to be developed, applied, and deployed in fundamentally new and more efficient ways. Someday, users will position atoms using a touch screen user interface, and we will have the corresponding manufacturing technology to make any material the user can design. This app is the first, baby step toward that goal." Pricing and Availability: iNanotube 1.1 is $0.99 (USD) and available worldwide through the App Store in the Education category.